Individuals must be” insured” under the Social Security program before retirement, survivors or disability benefits may be paid to an applicant or his or her family. Applicants must typically be fully insured, as well as meet other applicable requirements, to receive Social Security benefits. The Social Security Administration (SSA) considers the number of quarters of coverage earned to determine whether an applicant is insured. Applicants earn a quarter of coverage (QC) or “credit” for a certain amount of work covered under the Social Security program but may earn no more than four (4) QCs per year. 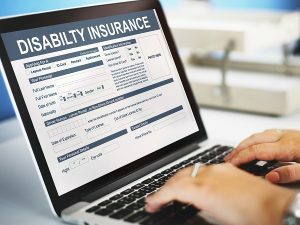 Insured status is the earnings requirement a number holder (NH) must meet in order to establish entitlement to any type of benefit or a period of disability based on a record of earnings. Each type of benefit has a different insured status test. To meet insured status, number holders must have the required number of quarters of coverage on their earnings record. For certain benefits, the QCs must be earned within a specific time frame. the year before becoming disabled. An exception is if born before 1930, a claimant needs at least one QC for each year after 1950. The minimum number of QCs needed is 6. The maximum number needed is 40. Generally speaking, 40 quarters will almost always work to insure you, and in some cases, especially with younger workers, less than 40 can achieve the same result. Any year, i.e., all or part of a year, that was included in a period of disability is not included in determining the number of QCs needed. The applicant has earned the maximum 40 QCs and therefore is permanently and fully insured. The applicant was born in 1949 and worked under covered employment in 1971-77, earning a total of 28 QCs. She attained age 21 in 1970. She was fully insured after earning 6 QCs and continues to be fully insured if she were to die or become disabled before the end of 1999. After 1999 she was no longer fully insured. Because she earned only 28 QCs, she was never permanently insured. The easiest way to understand this is as follows: work 10 years over your life to get 40 quarters; and work 5 of the last 10 years to be insured. The “insurance” will last for 5 years after you stop working. The SSA uses a term “date last insured” to depict when a worker’s insured status expires. For example, think of buying term life insurance. If the premium is not paid and the policy lapses, and then you die, you get nothing. No insurance. If your SSA insured status has expired, and you become disabled AFTER that date, there is no disability insurance benefit. One of the best ways to make sure you understand all of your options associated with applying for disability benefits is to retain the services of an experienced, knowledgeable and qualified Kentucky Social Security Disability attorney. Contact Sullivan Law Office today. We offer free consultations, so there is absolutely nothing to lose! We look forward to hearing from you. We look forward to hearing from you. Call 888-587-0228 or visit us online.